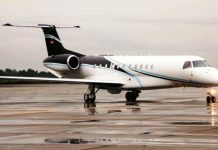 been explored for the development of the aviation sector, the Federal Airports Authority of Nigeria (FAAN) has said that it will partner with private investors, to improve on the infrastructure at the nation’s airports. 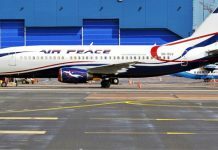 Managing Director of FAAN, Engr Saleh Dunoma who disclosed this in a statement through the Head, Corporate Affairs, Mrs Henrietta Yakubu, and made available to aviation correspondents on Tuesday, assured that the agency would collaborate with investors to develop the aviation sector. Dunoma while agreeing that some of the infrastructure in the aviation industry require urgent attention, said that the management was already working on replacing such facilities. He explained that the airport management had put in place a policy to improve the infrastructure at the airports, and pointed out that some of the projects were currently outlined, some at design stage, while others were at proposal stage. “These are some of the things we have to showcase to prospective investors so that they will come and sit with us, because you are not supposed to go too far when coming out with details of the development. “Investors who have the money will determine the level of investments. Our own is just to tell them where we are and where we want to be. “They will sit with us and discuss the details of these investments, identify all the projects that we have and how they want to take the aviation industry in the country forward”, he stated. The FAAN boss went further to explain that the cost implication of the various projects would depend on designs, investors, cost of funds among others. According to him, these are part of the move to arrest the further dilapidation in various airports across the country.